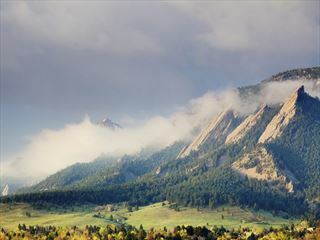 This self-drive itinerary will take you through the wonders of Colorado, Wyoming and Utah, including many of the world renowned national parks in America’s West. 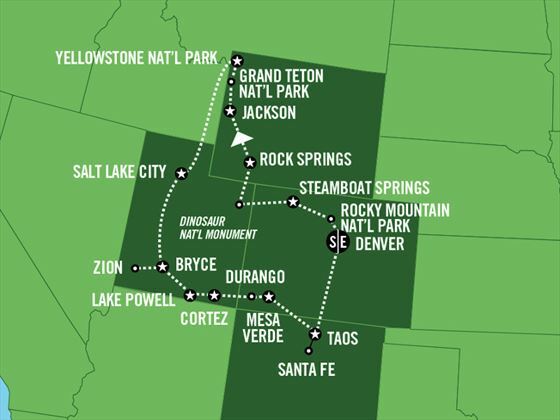 The circular route will begin and end in the wonderful mile-high city of Denver, travel through the national parks of Rocky Mountain, Teton and the spectacular Yellowstone, then south through Salt Lake City and then the national parks of Bryce Canyon, Zion and Lake Powell. Next is the National Park of Mesa Verde in Colorado before you cross the border to New Mexico to visit charming and historic Santa Fe. 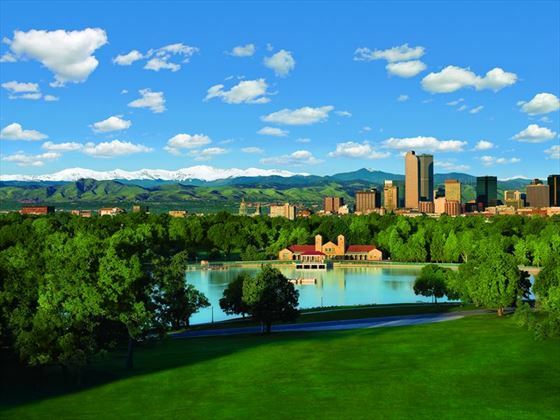 Fly to Denver and pick up your hire car then drive approximately 35 minutes to your hotel. You have the day to explore Rocky Mountain National Park. After crossing the Continental Divide of the Rockies, continue to the quaint ski resort of Steamboat Springs. Today you will visit the amazing Dinosaur National Monument at the Colorado/Utah border and visit Dinosaur Quarry, which has produced more skeletons, skulls and bones of dinosaurs than any other dig in the world. Marvel at these remarkable fossil deposits, some as old as 140 million years. 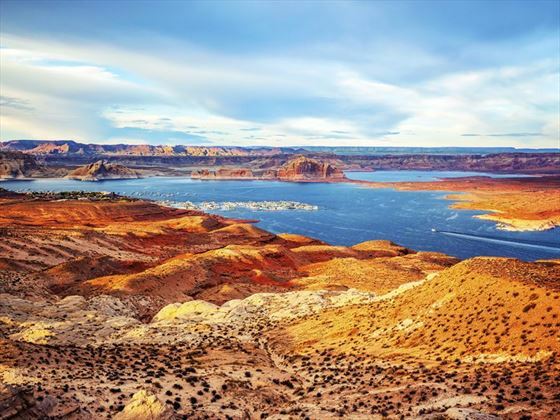 Continue on to explore the Flaming Gorge and Red Canyon. Overnight in Rock Springs, Wyoming. This morning travel along the Wind River Gorge. Continue north over the high chaparral of Wyoming and arrive in Jackson by early evening. Enjoy exploring the rustic Old West with a walk around the old-fashioned town square of Jackson. The short drive today gives you the chance to leisurely explore Grand Teton National Park. 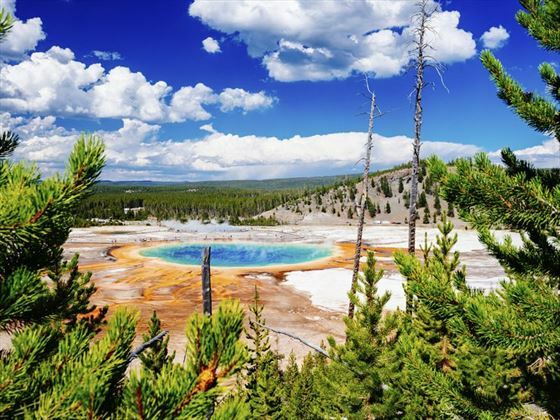 In Yellowstone, explore the diverse geothermal features of America’s first national park. 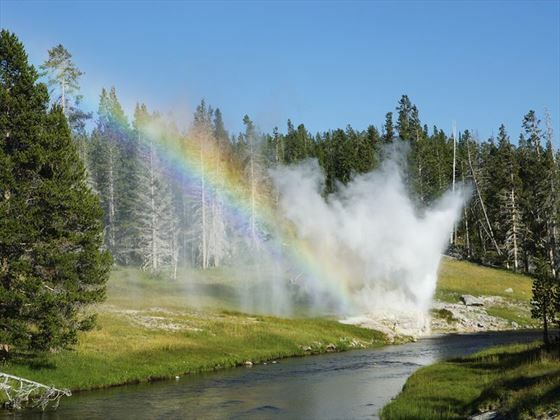 Old Faithful and Mammoth Hot Springs are the most famous sights of the park. 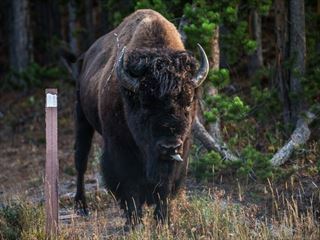 Yellowstone’s wildlife roam the park freely, so prepare yourself for bison, deer, elk, moose and possibly a bear. You will cross a small portion of the Gem State of Idaho en route to the Mormon State of Utah and its capital, Salt Lake City. Visit the famed Temple and the Tabernacle. 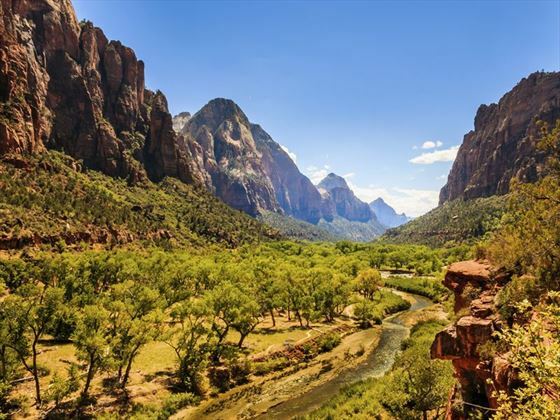 Cross the Wasatch Mountain Range to reach the natural wonders in southern Utah. Visit Bryce Canyon National Park to view its fanciful spires and rock formations. A full day to further explore Bryce Canyon National Park. 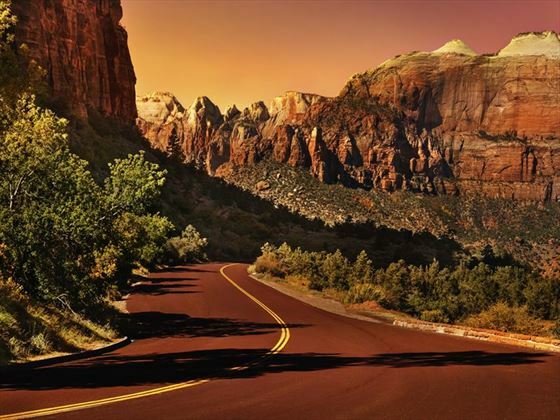 Alternatively, it is just a short drive to Zion National Park and some of the world’s most incredible sandstone formations formed millions of years ago by the powerful hand of nature. 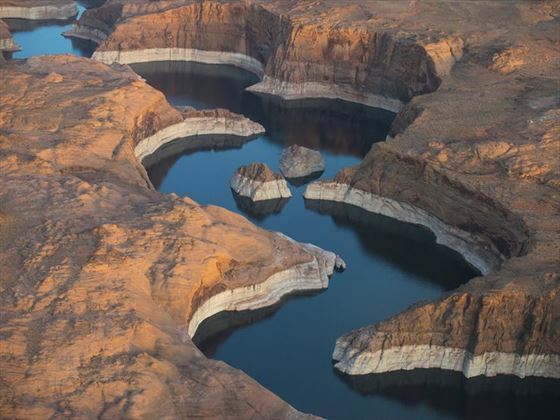 After having discovered the natural wonders of Zion National Park, drive east via Kanab to Page where the red desert meets deep blue Lake Powell. Leave early to explore this magnificent landscape. Travel to the Navajo Indian Reservation, pass the Trading Post of Cameron, and drive through the Painted Desert to beautiful Monument Valley’s red sandstone spires and monoliths. Continue to Cortez for your overnight stay. Today you will drive into the Mesa Verde National Park, known for its well-preserved Ancestral Puebloan cliff dwellings and the huge Cliff Palace. Drive the Mesa Top Loop Road, which winds past archaeological sites and panoramic canyon view. Then continue to the charming old gold-mining town of Durango. Enjoy the magnificent scenery this morning while strolling along Main Street, Durango, which is lined with southwestern boutiques. 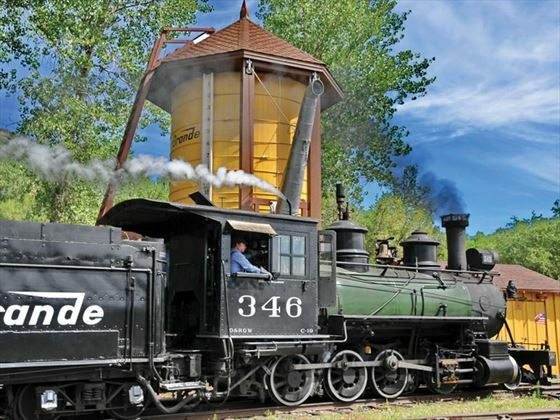 Depart Durango and pass Pagosa Springs en route to the state of New Mexico, The Land of Enchantment. Your destination for for the next two nights is the artists’ colony of Taos. In the morning, explore the remarkable Taos Indian Pueblo, a virtually unchanged village inhabited for 1,00o years by Taos Native Americans, and designated a UNESCO World Heritage Site and National Historica Monument. In the afternoon, drive south to Santa Fe, the oldest capital city in the United States. Explore Santa Fe’s historic centre on a short walking tour. 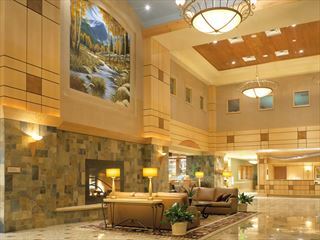 Enjoy the unique atmosphere which has made Santa Fe a mecca for artists. Then return to Taos for the night. Daily direct flights avaiable from Heathrow with British Airways. Regional connecting flights are available. Conveniently located in the Stapleton area, just 10 minutes from downtown and 20 minutes from Denver International Airport.The new Quebec Square Shopping District is mere steps away. Complimentary downtown transportation available.